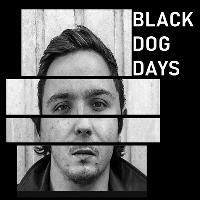 Local lads Black Dog Days are back with us and a few new tunes to get your teeth into as well. The lads have been out of action recently as Jack needed a bionic knee that he managed to nick from the six million dollar man so this will be their first gig back as a full band. TICKETS ARE ONLINE ONLY in advance at £5 plus 50p bf. You can also Rock up on the night as ther will be tickets on the door. Please Note - NO advance Printed Tickets are available for this - only online. Live Action thro till 1pm then the Rock Club action takes over til 3am upstairs. ALL Ticket holders are welcome to rock thro with us.